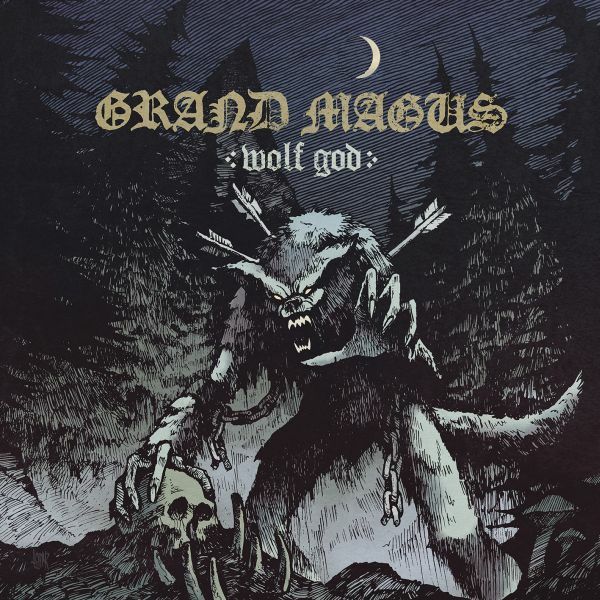 GRAND MAGUS - WOLF GOD | Releases | Wizard LTD.
- MELODIC & HEAVY RIFFS - WOLF GOD WILL PICK YOU UP! The riff gods are back! A little more than two years have passed since the great »Sword Songs« album was released, but GRAND MAGUS can never quench their thirst for action. Accordingly, the Heavy Metal giants started to develop new songs as fast as possible after their last record. Singer and guitarist JB points out their new way of working: “We decided to let go of the current philosophy to record drums first and then bass and then guitar etc. This time, we met up, jammed and created together during the last six months with the goal to record basic tracks live.“ Something, lovers of little details will realize, yet GRAND MAGUS haven&apos;t lost their basic philosophy.